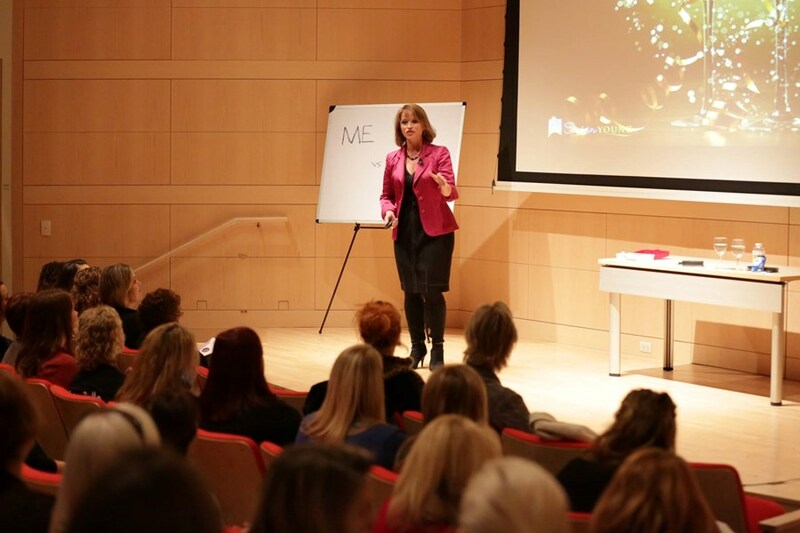 Susan's motivational keynotes and workshops inspire organizations to create POSITIVE CHANGE to BOOST POSITIVITY, ENGAGEMENT, and COMMUNICATION so they can make a POSITIVE IMPACT in life and business. "THE ART OF FIRST IMPRESSIONS FOR POSITIVE IMPACT . . . 8 WAYS TO TRANSFORM RELATIONSHIP RESULTS"
CONNECTIVITY is EVERYTHING in today's competitive world. With every new encounter, impressions are made. Opinions are formed-about you, your service, your company, your appearance, and your personality-all within a few short seconds. Those "seconds" can be the make-or-break or yes-or-no basis for your success. Should you really leave them to chance? Gleaned from Susan's book, "The Art of First Impressions for Positive Impact", this powerful topic delivers the tools and strategies to help audience members prevent social mishaps, lost business, rejection, low self-esteem, failure, career complacency, and lifelong frustration. With high energy and easy relatability, Susan teaches how to build and strengthen long-term mutually beneficial relationships, lead with confidence, communicate with courage, and ensure their impressions--from the first to the last--are positive and substantial. "CONFIDENT COMMUNICATIONS . . . CREATING A POSITIVE & ENGAGED WORKPLACE"
Whether you are seeking powerful ways to unify your people, create a more positive workplace, deepen your level of collaboration, or deliver world-class customer service-great COMMUNICATION SKILLS are essential for your success. Cohesiveness, performance, momentum, and bottom-line productivity and profitability all start by building AUTHENTIC relationships forged in trust, cooperation, and respect. How can you avoid communication roadblocks that stand in the way of your goals? How can you get your message across CLEARLY to be more effective and understood? Whether it's a face-to-face conversation, a telephone call, or a written e-mail, a meaningful message can make or break your success. In this powerful and insightful keynote, Susan Young will share the real-world, how-to communication skill solutions for connecting with confidence-personally and professionally. "SHIFT, SHED & SHINE . . . STRIVE, THRIVE & HAPPILY ARRIVE IN TIMES OF CHANGE"
In our world, too many people are living a current reality that is drastically different from the life they desire. We are running at breakneck speeds-too often, out of balance. We are expected to do more with less and have more tasks to complete than we have hours in the day. How do you help your team get OFF the treadmill, calm the chaos and greet change from a position of strength and positivity? It all starts with a SHIFT. Based on her upcoming book, "SHIFT, SHED, & SHINE . . . 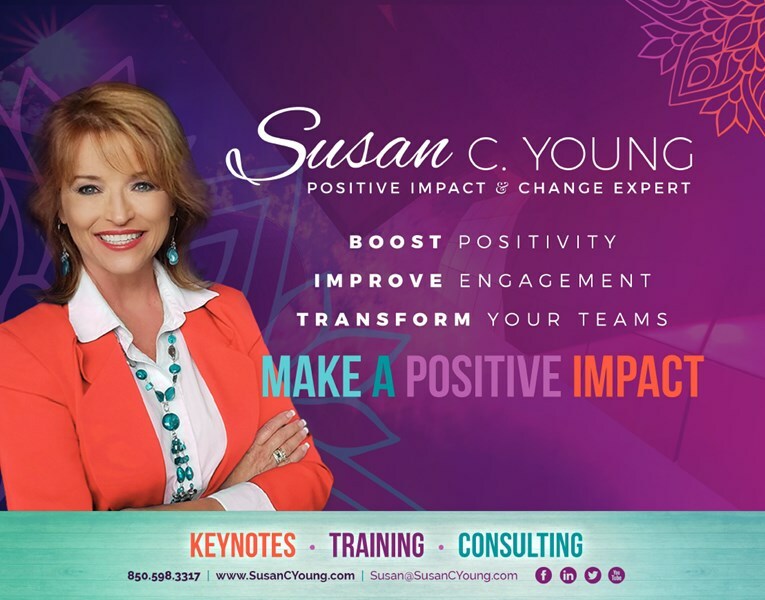 Your Go-To Guide for Resilience in Times of Change", motivational keynote speaker Susan C. Young shares the strategies and mental shifts necessary to get "UNSTUCK" from those habits and thought processes that sabotage success. 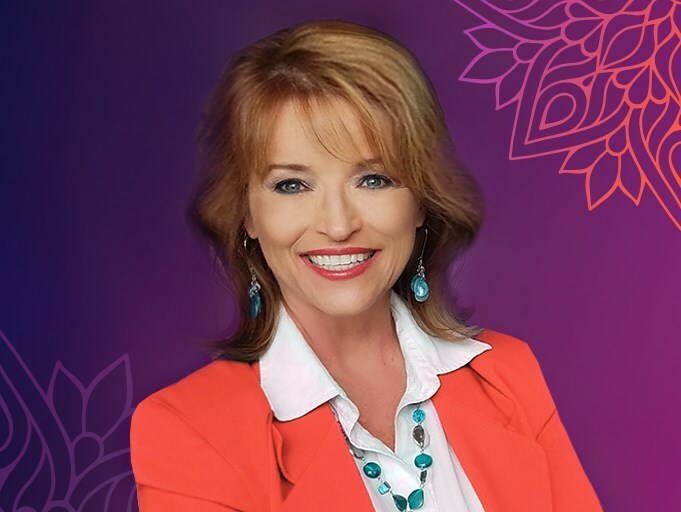 With humor, heart, and tremendous passion, Susan helps audience members to create the clarity and vision that will allow them to move more swiftly and confidently in the direction of their dreams. "RELEASE THE POWER OR RE3 . . . REVIEW, REDO & RENEW FOR POSITIVE CHANGE & TRANSFORMATION"
In today's world? CHANGE isn't going anywhere. Life comes at us all at lightning speed. How we react? Keep up? Leverage it to grow our businesses, improve our relationships, and design a happier, healthier life? It's all about CHOICE. In this timely topic, based on her book "Release the Power of Re 3. . . Review, Redo & Renew for Positive Change & Transformation", Susan shares her 3-step model for moving audience members from transition to transformation. With delightful energy and captivating connectivity, she inspires people to rethink old habits and mindsets. To reinvent themselves. To renew their passion for what they do and adapt to change for the adventure that it can bring. When that happens? They can handle anything life throws their way with agility, insight, and clarity. That's a win-win-win for everyone. From the moment Susan steps up to the platform, your audience will KNOW they are in just the right place to receive everything they've been waiting to know about CHANGING their lives for the better. And in ways that will impact them for years to come. Please note Susan Young, Positive Impact & Change Expert will also travel to Cottage Grove, Mc Farland, Sun Prairie, Waunakee, Windsor, De Forest, Middleton, Deerfield, Morrisonville, Oregon, Stoughton, Dane, Marshall, Verona, Arlington, Cross Plains, Cambridge, Brooklyn, Waterloo, Belleville, Lodi, Lake Mills, Black Earth, Poynette, Columbus, Edgerton, Evansville, Mazomanie, Mount Horeb, Rio.